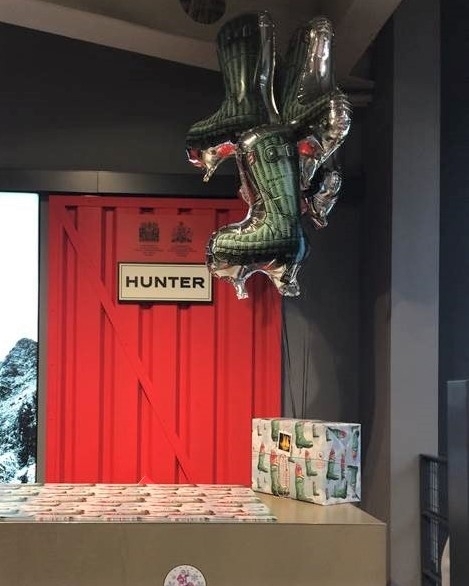 Glow have been working with Hunter to produce these custom shaped and printed inflatable foil balloons as Hunter Boots for an in store Christmas promotion. Hunter are really happy with the balloons and are already using them in London stores. Hunter are a strong Britsih brand that glow have really enjoyed working with, we look forward to working with them on future promotions. Custom or bespoke shaped foil balloons are a really unique way to replicate your product on a large scale that is affordable, Glow can replicate most products as balloons and can also supply ribbon, weights and helium and installation when required. Sizes start from just 45cm round foils to 100cm tall custom inflatable shapes. We love to work with big brands on their marketing campaigns and events and offer high quality customer service and exciting product options. Please contact us for a quote or a chat.